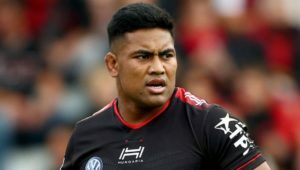 Toulouse claimed a resounding 40-0 victory over Bordeaux, while there were also wins for La Rochelle, Castres, Toulon, Lyon and Racing 92 in the French Top 14. Before this round of fixtures, Toulouse were in third position on the log, behind Clermont and Stade Français. Following their five-try thrashing of Bordeaux, Toulouse have now moved above Stade and within three points of Clermont. 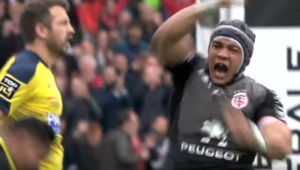 Toulouse, with wing Cheslin Kolbe, flank Rynhardt Elstadt and tighthead prop Maks van Dyk in their ranks, were just too good for the ill-disciplined Bordeaux. Wing Arthur Bonneval was a standout performer for the hosts as he scored a brace. 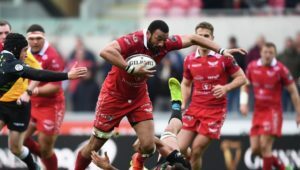 Both of Bonneval’s tries came in the first half and coupled with a conversion and three penalties from the boot of Thomas Ramos, Toulouse went into the break 21-o up. There was to be no turnaround in fortunes as Toulouse continued to pile pressure on Bordeaux. Eventually the hosts ran in three more tries to complete the rout. Competition front-runners Clermont were held to a 27-27 draw by Grenoble. Clermont remain top, but their advantage has been cut to three log points by Toulouse. In other results, La Rochelle edged Agen 33-29 to make it three wins in a row, Robert Ebersohn and Rory Kockott starred as Castres beat Pau 37-10, Toulon clinched a crucial 26-16 win over Perpignan to move out of the relegation zone, Lyon shocked Stade Français 41-6 and Racing beat Montpellier 27-13.